Make showing and swiping IDs quick & easy. 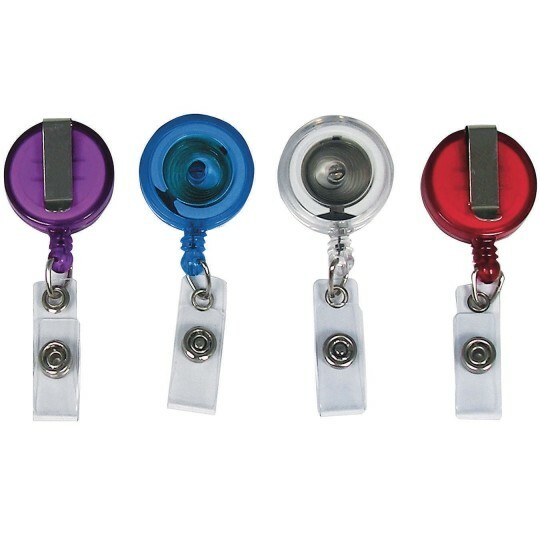 Translucent badge reel features belt clip to firmly attach to belts, backpacks, and purses. Retractable 30” cord to swipe your badge or ID card, and quickly retract it out of the way when not needed. 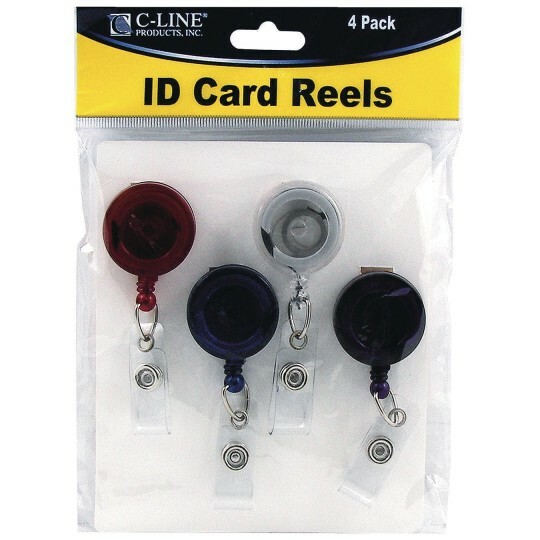 Clear vinyl snap-on strap for holding cards. 4 pack includes 1 each red, blue, clear and purple.